Thread: Canon user gone to the darkside? Well after several years of Canon cameras I'm trying a Nikon. I can't afford a DSLR and I don't wanna really spend much over $400 due to other expenses I have. The P7700 went to the top of my list. I'm re-evaluating my shooting preferences and being more realistic. So far every Super Zoom bridge Camera I have had hasn't cut the grade. Always soft.....slow to focus and just plain can't come close to a DSLR zoom. While it's nice to have a zoom.....whats the sense if it's slow and hunts to focus? Seems all Camera makers have this quirk....doing nature shots just pure frustration. 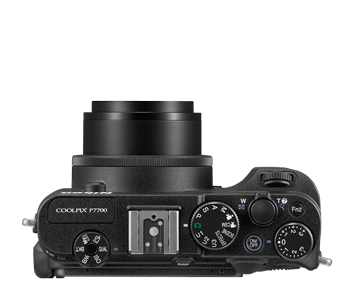 The P7700 has a fast f2.0 - 4.0 28-200mm high end glass lens and that's important to me. Opens up several opportunities for landscape....flower and macro photography I do the most. Seems to be a tad more versatile and better photo quality than the Canon G15. Maybe it's just me but it seems that Canon has been dropping the ball on the mid priced cameras lately. Ordered the 7700 Saturday damn near bought a Panasonic DMC-LX5. Came REALLY close but it just didn't quite have the pic quality of the P7700. Found a place to compare noise and such side by side. Pic quality and versatile settings won me over. 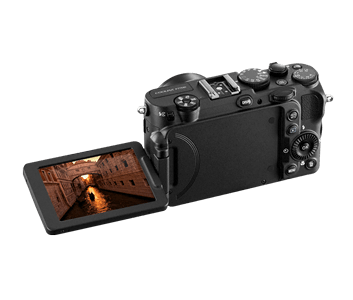 Rugged built camera and many Pro's use them as a backup to their DSLR. Some even prefer it over their DSLR for the photo quality and carry size. Wish I could go back to a DSLR but it's just not financially practical for me anymore. Economy sux and with fool proof cameras...selling my work now is about impossible. At one time my sales would cover any camera upgrades and lenses. People can make their own art now with lil effort (Cept Weddings) so it's tuff. Gone to the dark side have you? That's of you're forgiven. My thoughts are that what I've read and seen that is a mighty fine camera. Just bought my wife the Canon G15. Comes in around $450. The glass is and amazingly fast 1.8-2.8!!! It allows her to use the pretty green square, and allows me to shoot in Manual AND RAW!!! Take a look at it...and that way you can stay Canon! Also heard good things about the Canon S110! 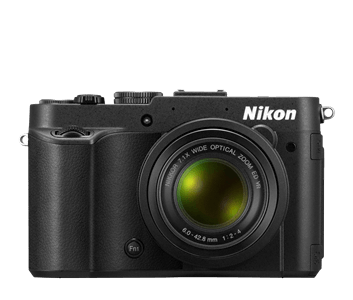 Is that Nikon one of the new, removable lens cameras? my brother just bought one, i didnt even know it was a removable lens....lol its almost the exact same size as my old Pro1. Looks like a nice camera though and the photos you've posted look great!